WASHINGTON — Billionaire hedge-fund manager Steven A. Cohen, who was earlier accused of failing to prevent insider trading at his firm, has agreed in a settlement with the government not to engage in any activities overseen by federal commodities regulators until at least Dec. 31, 2017. The settlement announced Tuesday by the Commodity Futures Trading Commission follows on the action brought against Cohen by the Securities and Exchange Commission over insider trading at his firm, formerly called SAC Capital Advisors. In an agreement with the SEC in January, Cohen was barred for two years from managing other people's money. He wasn't fined under the agreement, and neither admitted nor denied the SEC's allegations. Federal prosecutors had accused SAC Capital, one of the biggest and most successful hedge funds, of engaging in illegal insider trading on an epic scale, saying its founder and owner Cohen enabled the misconduct. 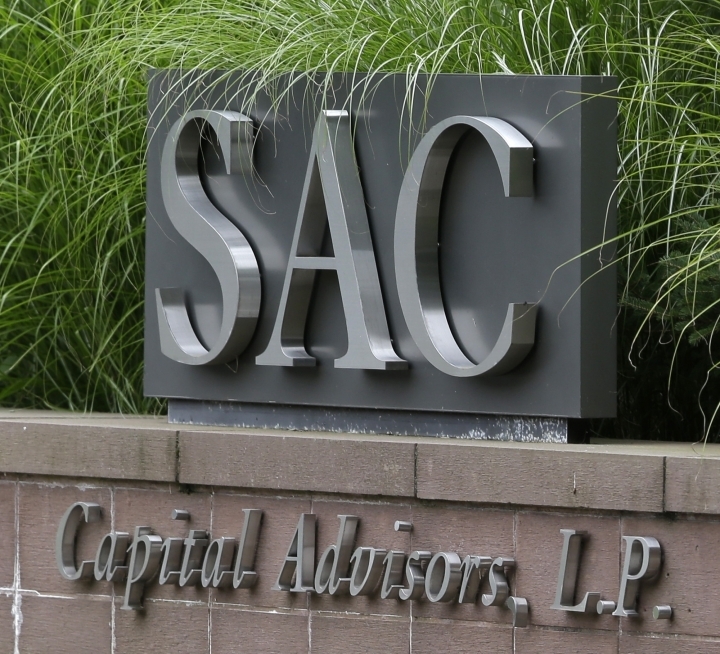 SAC Capital agreed in 2013 to plead guilty to criminal fraud charges and to pay $1.8 billion. It was the largest financial penalty at the time for insider trading, according to prosecutors. Cohen himself never faced criminal charges and he was not charged with insider trading by the SEC, which focused on his supervision of subordinates. Cohen, who lives on a sprawling estate in Greenwich, Connecticut, is one of the highest-profile figures in American finance and one of the country's richest men. He had been among the handful of upper-tier hedge fund managers who pull in about $1 billion a year in compensation. He founded SAC in 1992, naming it with his initials, and carved a reputation as a savvy investment manager. Also under the settlement with the CFTC, Cohen agreed not to work as an officer or employee of any firm registered with the agency until the end of next year. The SEC had alleged that Cohen ignored red flags and failed to prevent one of his SAC portfolio managers, Mathew Martoma, from illegally reaping profits. The regulators said Martoma's trades using illicit tips brought SAC profits and avoided losses totaling a staggering $275 million. Martoma provided information to Cohen in 2008 that suggested he had access to inside information, the SEC said. But rather than raise the alarm, Cohen rewarded Martoma with a $9 million bonus, according to the regulators. Martoma was convicted of insider-trading charges. He is serving a nine-year prison sentence while his appeal of the conviction is pending. Prosecutors said Martoma earned the $9 million bonus after persuading a medical professor to leak secret data from a trial of a potential breakthrough Alzheimer's drug between 2006 and 2008. As part of its plea deal with the government, SAC Capital stopped taking in funds to manage from outside investors — transforming into a "family office" investing mainly Cohen's money. The company was renamed Point72 Asset Management. It is located in Stamford, Connecticut, as was SAC Capital.